So, The Boss has this habit. She likes to buy these beautiful, gorgeous, antique lamps. They’re all beautiful. And gorgeous. And antique. And very, very big. And old. And breakable. We’ve begged her not to buy anymore, but what can we do? She’s The Boss. All joking aside, the lamps she comes home with are *usually* pretty nice. 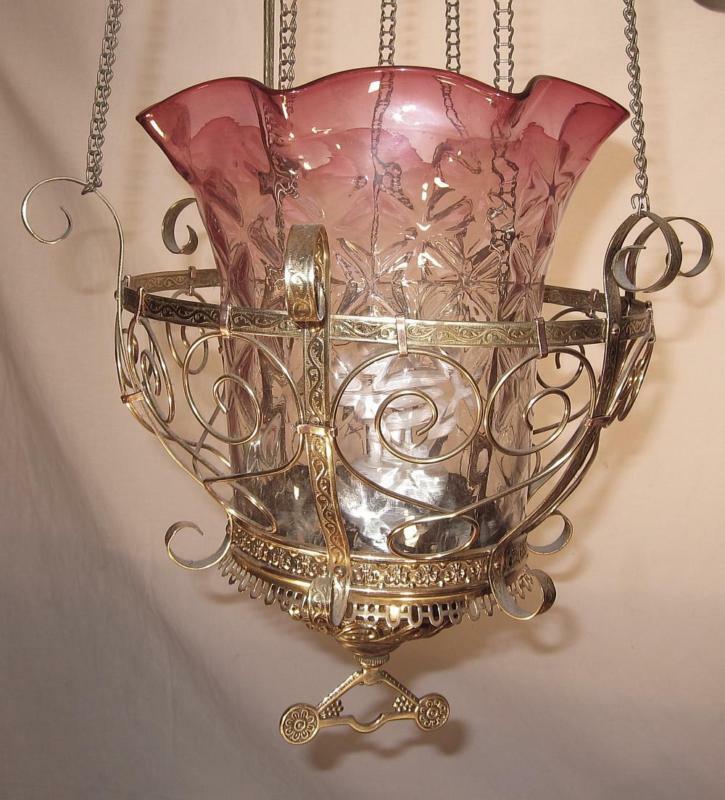 The hanging lamps and chandeliers are often from the Victorian era and have been hand painted or were made with blown glass. You can’t get a whole lot more authentic than that. Sometimes she comes home with these, erm, interesting art deco lamps. They’re big and clunky and retro and hideous. But all of these lamps have one single thing in common (okay, two things if you count that they’re all lamps): they all sell really well online. This entry was posted on April 23, 2012 by GEREAN. It was filed under OF GENERAL INTEREST . Thanks for reblogging my article! I’ve been poking around here and you’ve got a great site!